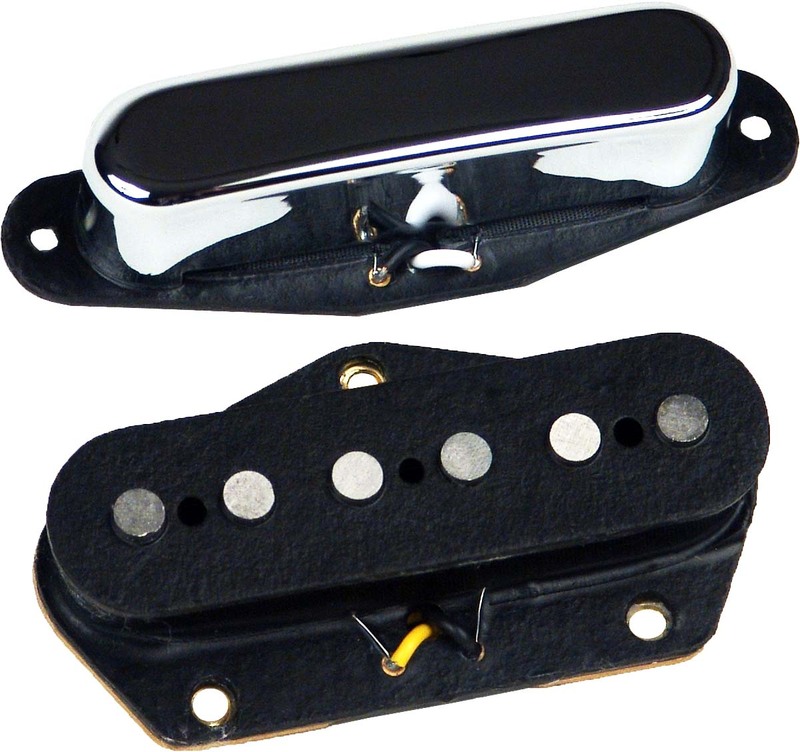 The Mighty Mite® TLP-S is a complete set of two pickups for Telecaster. This set includes the TLP-F neck and TLP-R bridge pickups. The neck pickup has a chrome cover - the bridge pickup is uncovered. The Mighty Mite® TLP Telecaster Pickups have that dark warm tone with evenly matched string dynamics. These are low noise single coil pickups with Alnico 5 magnets. DC resistance 6.2k ohms (neck), 7.5k ohms (bridge).